How much does SAP change management cost your business? The costs of SAP change management are significant and can range from approximately $150 to $300 per change. This webinar demonstrates how to quickly determine the cost of SAP change management processes to your business. To massively improve your SAP change management outcomes, automation is critical. Rev-Trac automates the entire SAP change management process, enabling an end-to-end SAP DevOps toolchain. A brand new era for Rev-Trac has dawned. Check out our video to understand how, as customers, you have played a role in our evolution. Multi-lane strategies are virtually impossible to manage without automating SAP change management processes. Rev-Trac, an SAP change management automation platform from Revelation Software Concepts (RSC), can help organizations to increase the velocity, volume and quality of changes without breaking production. Find out more. It is essential that SAP IT teams maintain systems stability to minimise losses – in both time and money – and to satisfy constantly changing business demands. 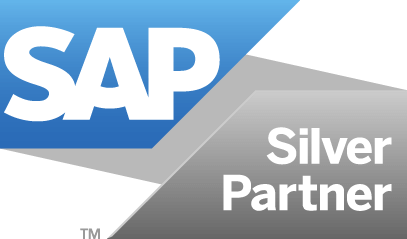 Rev-Trac Insights can help SAP IT teams to maximise systems uptime and reduce the risk of project and release delivery incidents. In this blog, I will discuss how you can better manage your SAP systems using the Landscape Management applications Matrix, WIP Window and Cold Case. Many SAP customers have started, or are planning, SAP HANA and S/4 HANA projects. As is common with SAP solutions, customers have dozens of options when jumping on the HANA ship. Cloud? SAP Cloud or Partner Cloud? On-premise? Appliance or TDI? A crucial decision is, how to manage the changes or transports for SAP HANA environments. This webinar explains transport basics, simple and safe change management processes for SAP HANA environments, profiles of HANA and S/4 HANA Rev-Trac customers, and more. This whitepaper provides a high-level overview of a range of change control challenges specific to N and N+1 landscapes and details the benefits of automated SAP change management. Rev-Trac incorporates functionalities specifically developed to overcome the unique challenges faced in managing projects or releases in more complex environments. Today, SAP IT teams are under increasing pressure to deliver more change, more frequently without breaking production. As a result, the need for transparency and accuracy across all aspects of SAP change has never been more important. The latest version of Rev-Trac – Platinum 8.0 – integrates new features and enhancements that enable you to react quickly to changes in business demand. Are you considering automating your SAP change control processes but don’t know how to win over the CFO? If you’ve got a minute, take a quick look at this video and download the accompanying eBook to discover how to build a compelling business case for automated SAP change management. Organizations are under pressure to transform their SAP application delivery processes to keep pace with constantly changing business demands. To meet the challenge organizations are adopting a more agile, flexible multi-lane strategy to SAP change delivery. For businesses in today’s digital economy, a multi-lane strategy to managing SAP change is fast becoming essential for success. Discover how to implement a multi-lane approach to increase the volume, velocity and quality of SAP change, and meet constantly changing business demands. Today, in the final blog of the SAP change management journey series, I look at the critical elements to achieve successful outcomes during the deploy phase of SAP application delivery. Here I will discuss the importance for the control of, and visibility into multiple SAP changes as your organization prepares for production deployment. In order to master SAP change management, SAP IT teams need to deliver more change, more frequently with less risk. Making it essential to leverage tools for assessing readiness and quality of changes with predictable outcomes for release deployment to production. This ensures the quality of the build is consistent across all phases of the delivery process.